Eco minerals flawless mineral foundation powder provides lightweight buildable coverage with a long-wearing matte finish. Suitable for all skin types, especially oily or combination. Apply over your moisturiser or face oil for a naturally perfect look that lasts all day and protects your skin with SPF 25. Eco Minerals natural mineral makeup is made locally in the idyllic Byron Bay area using the purest professional quality ingredients. 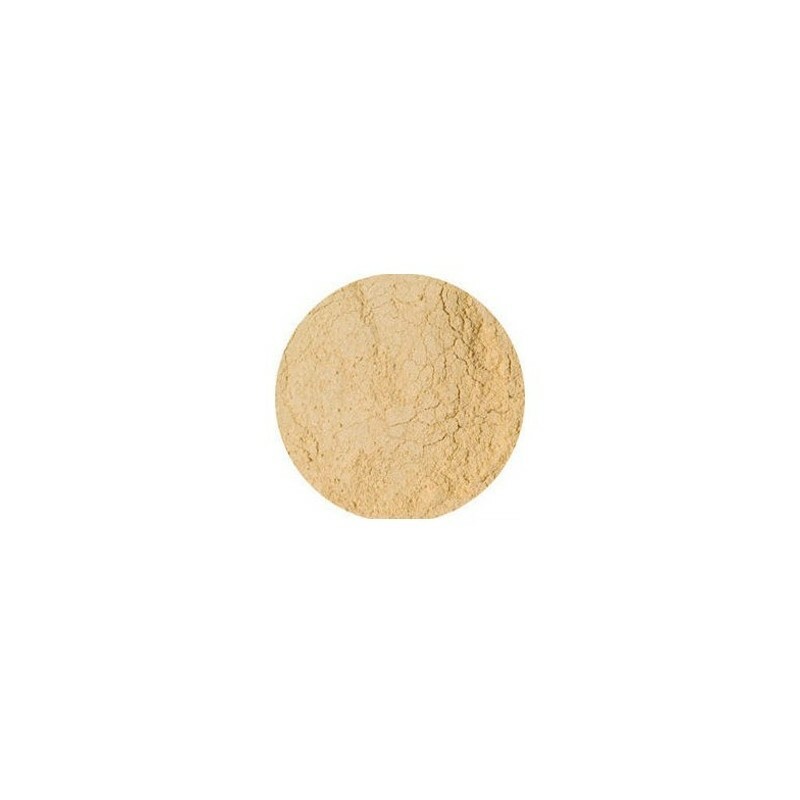 The amazing effect of mineral powder will effortlessly cover over skin pigmentation, scars, rosacea, bruising, blemishes, veins and even birth marks. Light to maximum coverage depending on your needs, and this loose powder can be applied as a liquid foundation by spritzing a little water or toner onto your brush. We recommend using a kabuki brush to apply, as you will use less and create a more even coverage. Apply over your daily moisturiser or a primer for best coverage. Contains no palm oil - choosing palm oil free products avoids causing major habitat destruction threatening many species in Indonesia and Malaysia, particularly the Orangutan population. 100% pure natural mineral ingredients. Non-comedogenic so it won't clog pores. Ideal for those with allergies. Can be applied immediately after a light peel or micro-dermabrasion. Can help calm redness caused from rosacea, sunburn or Psoriasos as the Titanium Dioxide and Zinc Oxides have anti-inflammatory properties. Refills available - save packaging by reusing your original containers. No talc, bismuth oxychloride, carmine or ferric ferrocyanide. No artificial fragrances, preservatives or colours. 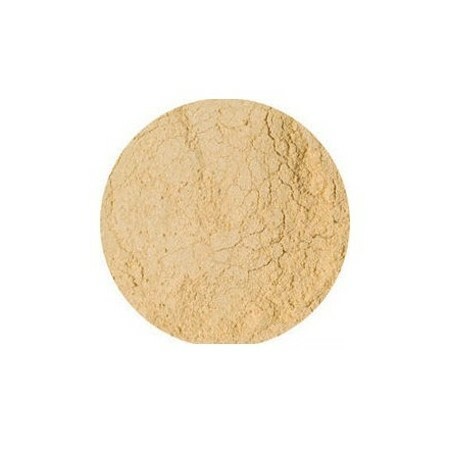 Mica (CI 77019), Zinc Oxide (CI 77947), (+/-) Titanium Dioxide (CI 77891), may contain (depending on colour) - Iron Oxides (CI 77491, CI 77492, CI 77499), Ultramarines (CI 77007). tin oxide, kaolin clay. 5 grams. I love this powdered foundation! It matches my light skin perfectly, and gives amazing coverage! I haven't even used a liquid foundation before that has given coverage as good as this! You can easily have light coverage by just using a small amount, or make it a thicker coverage by layering. So so happy! I held a lot of hope for this, with the refills and the SPF, but I think my skin was just too oily for it. Rather than soaking up any oil it seemed to just turn quite visibly liqued-like on my skin. If my skin ever dries out I'll try it again, but won't repurchase soon.